Hotels on Long Beach Phi Phi have long been the destination for those who want beachfront accommodation without all the hubbub of the Phi Phi Don Village. Just 10 minutes from the village allows these hotels to give tourist the best of both worlds, a first class beach location and easy access to one of Thailand’s most fun villages. The hotels on Long Beach Phi Phi stretch from the individual Viking Natures Resort at one end of the Long Beach and Phi Phi The Hill on the other promontory. In between the delightful sandy beach sits atop an aquamarine sea that slips effortless into one of the Island's best coral reefs. From this reef you can sometimes see the elegant but timid Black Tip Reef Shark a sight that is both thrilling and beautiful. The hotels on Long Beach Phi Phi have stunning views of Phi Phi Ley Island, the location where Leonardo Di Caprio made his movie 'The Beach' at the ever pretty Maya Bay. As the heat of the day shimmers over the warm sea this timeless view haunts all your memories in a moment of perfection. Alongside the Phi Phi Ley view are the grand Tonsai Cliffs which light up in the morning sun but hide the edge of the sunset. The Hotels on Long Beach are connected by the taxi boat service that uses the traditional Longtail boat to move people from the village pier head to the beach. This takes 10 minutes and the price varies depending on day time, night time, or after midnight. This short trip passing over the brilliant reef on Tonsai Bay is surrounded by the cliffs and the forested hills is a joy. There are no luxury Hotels on Long Beach as such but a couple of the resorts have deluxe rooms that are the best on the beach. 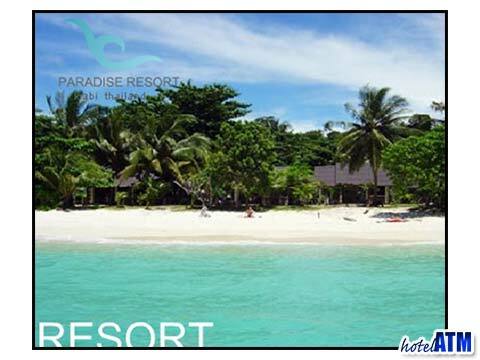 The Deluxe Beach Front at the Paradise Resort, the Thai House K1-K3 at the Phi Phi Paradise Pearl and the Phi Phi The Beach Resort all offer the best in each respective resort and are worth comparing to find what suites best. The Phi Phi's luxury are at Zeavola Phi Phi Resort, Holiday Inn Phi Phi Island and Outrigger Phi Phi Island Resort and Spa (previously Phi Phi Island Village Resort And Spa) in the north of Phi Phi Don Island and the Phi Phi Island Cabana Hotel in the main village. Good value hotels on Long Beach have been mentioned above with the Paradise Resort and the Phi Phi Paradise Pearl but the bungalows of the PP Blue Sky Resort should be mentioned. They are unique in 2012 in having a large variety of deals for longer stays. This is a micro hotel with no more facilities than the rooms and the reception but as a low key and quiet environment it is of interest. 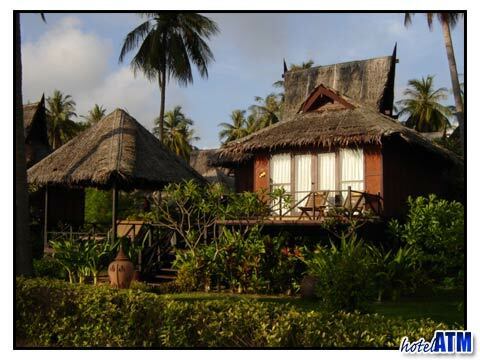 Thye budget Hotel of Long Beach is the seasonal Phi Phi Hill Resort which is open late October till late April every high season. Superb value with 7 star views out over the bay and out to Phi Phi Ley it is one of the only Phi Phi resorts that get s a sunset. The resort is for a certain type of traveller as the rooms are very simple and you have to go up 80 steps every time you want to go from the beach to the reception. This in part reflects why there is such a discrepancy in reviews for the resort.